Ever since Cohorted sprang onto the beauty scene in March last year, they’ve dedicated their time to making the best cult beauty products accessible to UK beauty fans at amazing, hard to beat prices. I’ve personally purchased from them with no problems (I got my Too Faced Chocolate Bar Palette form them) and worked with them too on some giveaways. They really are a lovely lot and I LOVE that they offer some fantastic discounts on popular and also hard to get products. If you haven’t heard of Cohorted before, basically they have a small selection of cosmetics, skincare and other beauty items on sale each week, with limited quantities of each product often at heavily discounted prices, and the more people that sign up to purchase the product, the further the price drops. I won’t go into to much detail right no but you can check out how it works and read more about the site here. 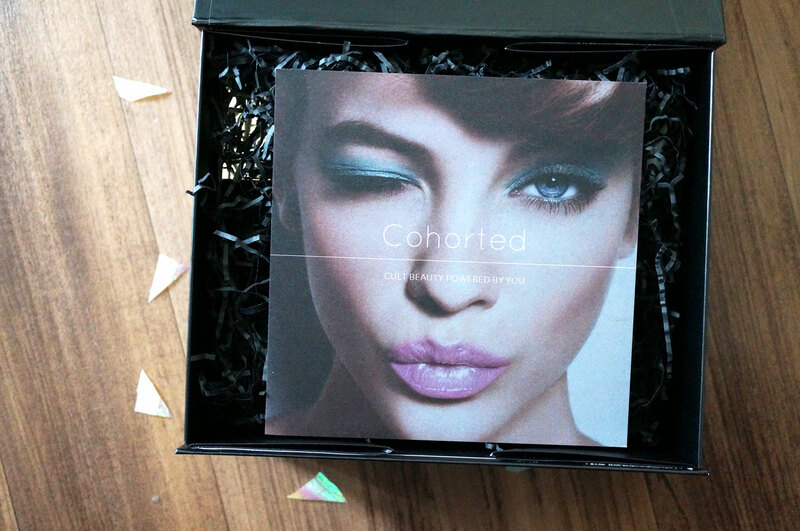 Today though, I’m really excited to announce that Cohorted will shortly be launching their very own Beauty Box! In collaboration with their website re-launch, Cohorted’s new Beauty Box will be available to purchase from 09/02/15 and will offer a selection of products from well-known beauty brands. This box will offer a different range of products every month from then on for the bargain price of £19.99. Much like Lookfantastic, there will be no subscription option available, so you will need to manually purchase the box each month, also every box is identical, and they only available to order in the UK at the moment. February’s box contains an amazing £67.50 worth of full and mini sized beauty products – and it’s worth mentioning there are only 100 of these boxes available. Also five lucky boxes will include an Hourglass Ambient Lighting Palette worth £56! This palette is one of my favourite ever products so I think whoever finds one of them in their box will be over the moon! Oooo I like the sound of this! Curious, I’m definitely interested to see what they have to offer. The exclusive element makes for an interesting spin. OOH – what a tease! Sounds like a really interesting product!